Restore Ubin Mangroves (R.U.M.) Initiative: 4 Jun (Sat): Visit RUM at Pulau Ubin for Pesta Ubin! 4 Jun (Sat): Visit RUM at Pulau Ubin for Pesta Ubin! 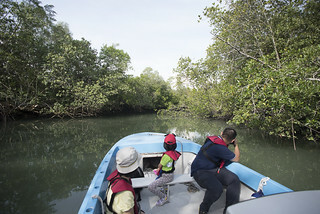 FREE boat tour of Ubin's mangroves! FREE mangrove walking tour. Come visit the RUMblers at our RUMbling booth at Pesta Ubin. Learn about our exciting ground-up community effort to give Mother Nature a hand in restoring mangroves at abandoned aquaculture ponds on Pulau Ubin. See awesome mangrove specimens, cool mangrove field gear, learn about studies of the fishes in Ubin mangroves, and MORE! Find out more about the Restore Ubin Mangroves (R.U.M.) Initiative and the Ecological Mangrove Restoration method, where mangroves will be naturally restored at abandoned aquaculture ponds on Pulau Ubin. 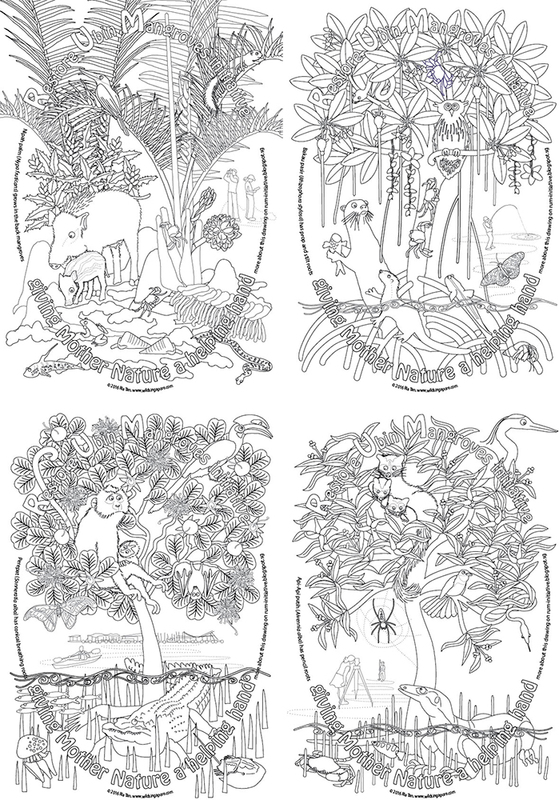 Get FREE mangrove colouring sheets! 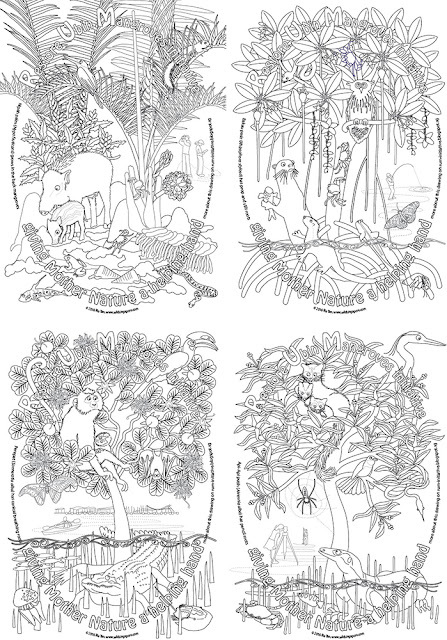 Four different sheets, each featuring different plants and animals and human activities in the mangrove forest. You CAN make a difference for Ubin mangroves. Sign up for upcoming R.U.M. activities at the booth! Come for a FREE guided walk and FREE boat tour to take a closer look at an R.U.M. site. No registration required. Just come to the booth half-an-hour before the tour starts. 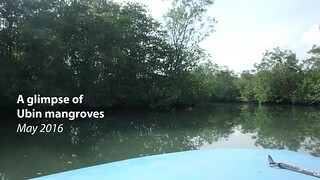 Here's a glimpse of Ubin's mangroves and one of the R.U.M. sites. More about the FREE guided walking tour. More about the FREE boat tour. Venue: Assembly Area opposite the HSBC Volunteer Hub at Pulau Ubin (map). No registration required. Just drop by the booth. The RUM booth will also be at Balik Chek Jawa. Meeting point: Chek Jawa Info Kiosk. More on how to get to Chek Jawa.